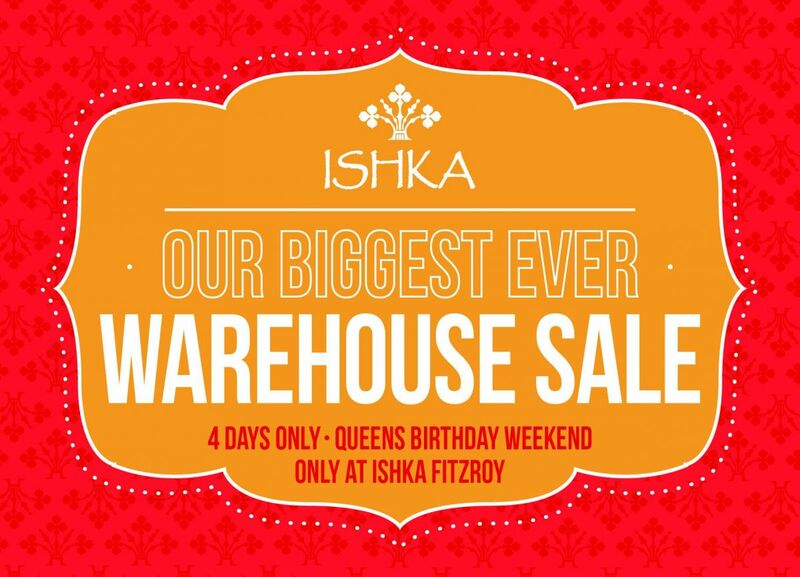 (sale is over) Grab yourself a rare and unique bargain at Ishka Fitzroy’s Biggest Warehouse Sale yet! With a minimum of 50% off across the entire store on our current stock, you’ll also have the opportunity to purchase Buyers Samples, One-off pieces, Scratch & Dent and antiques. There’ll be loads of Giveaways, entertainment & food!! Event time: 10 AM onwards on all these days.